In addition to helping kids in need, three lucky Only Parent Chronicles readers will win a back-to-school prize pack! To win: This giveaway is open to residents of the continental United States only. If your email address is not visible in your profile, you must leave it in your comments. To be eligible, you must publicly follow Only Parent Chronicles via Google Friend Connect. Winner must reply within 48 hours of notification or a new winner will be selected. Giveaway will be open from 9:00 am August 10, 2011 through 5:00pm August 17, 2011. Mandatory entry: Like the Elmer's Facebook Page. -Tweet "Help Elmer’s Help Kids in Need with @Kristin_OPC! Like Elmer's on Facebook! http://on.fb.me/eAmHKR"
**I did not receive compensation to promote Elmer's Kids in Need Foundation. Elmer's was generous and provided a back-to-school kit for me, as well. I follow you on GFC as goldylox. I like Elmers on Facebook! Screen name Goldylox Angles. Thanks! I like Elmer's on FB. 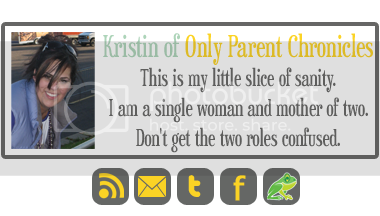 Liked Only Parent Chronicles on Facebook! I like Elmer's on Facebook! I like Only Parent Chronicles on FB! I liked OPC on FB! 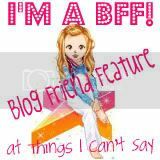 I like Elmer's on facebook as Alison Faith Tolar. I like Only Parents Chronicle on facebook as Alison Faith Tolar. I follow @Kristin_OPC on twitter as @AFTolar. I liked Elmer's on Facebook user Lisa Garner. I like Elmer's on FB (Sarah Smile). I liked Elmer's on facebook. Sarah Mudge. I liked you on facebook. Sarah Mudge. I'm following you on twitter. sassyluvchic.